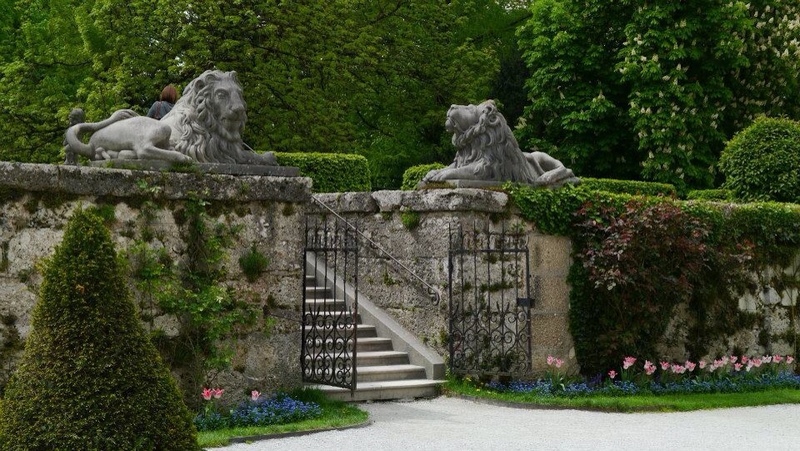 I grew up on a diet of Sound of Music and my parents' were excited to visit it one day. The simplest thing. Walking by the river by day or night. This was a family trip and the only thing I would've have liked to have changed is spending more time with my parents. An apartment or villa is on next year's family holiday cards. The trip to Salzburg was stunning. 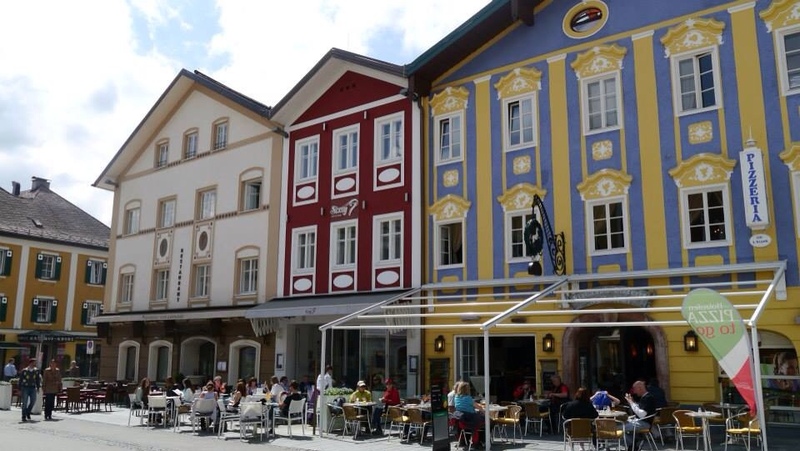 Visit some of the other rural areas outside Salzburg. Apparently the birthplace of the infamous leader is an amazingly beautiful place. Shame about the association. Rain is predicted 80% of the year so we were fortunate to get a little sunshine. May appears to be a good time to visit. A number of historical and culturally relevant sites surrounds by miles of beautiful fields, mountains and lakes. A feast for the eyes. 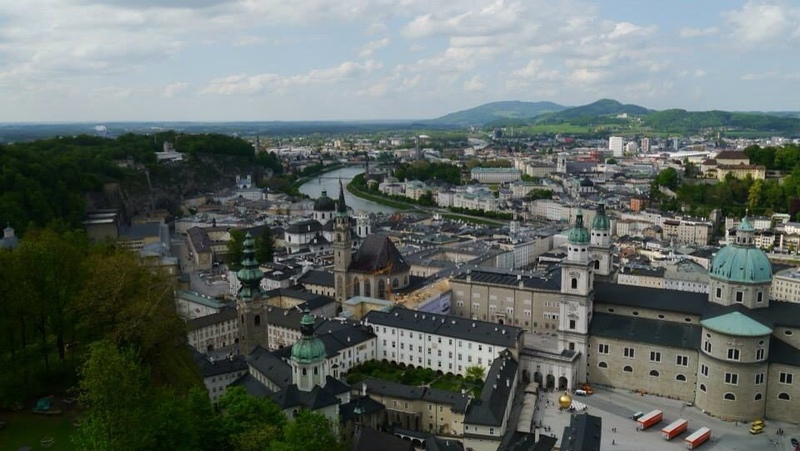 We spent 3 nights in Salzburg which felt like the right amount of time, although we were pretty busy. After a good night's sleep following an evening flight from London, we awoke to excitement from most of the group to be going on The Original Sound of Music Tour. It is highly recommended and I agree. Not a tacky sing-song fiasco as one might imagine, but a wonderful (but busy) coach trip to the foothills of the Alps stopping at major scenic points from the film as well as at some glorious lakes. The tour guide also provides a historical overview, so it was a city tour in addition. 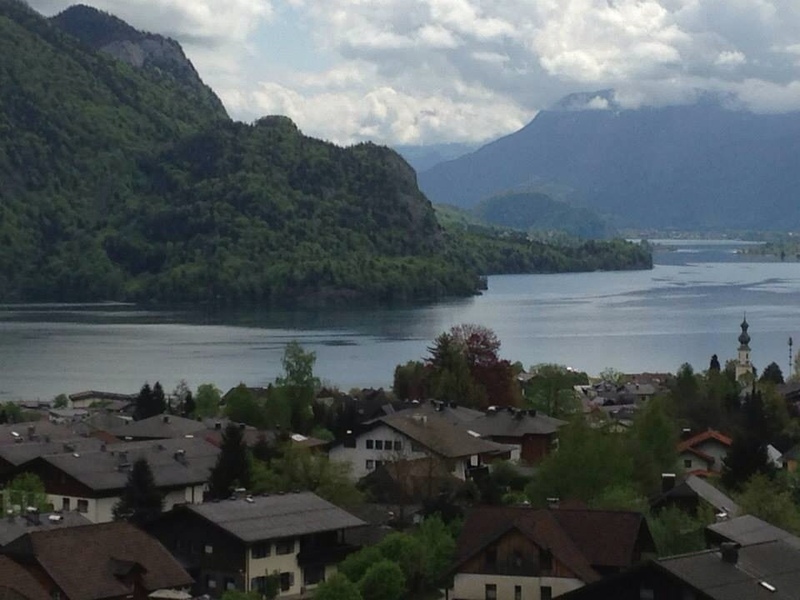 The longest stop off point was in Mondsee, apparently housing the best place to have strudel. Debatable (we had better on our trip). We also passed the Red Bull headquarters which I had no idea had an Austrian link. We returned to the city at around lunch time and went straight into Mirabell gardens for a wander. Well maintained and relaxing. 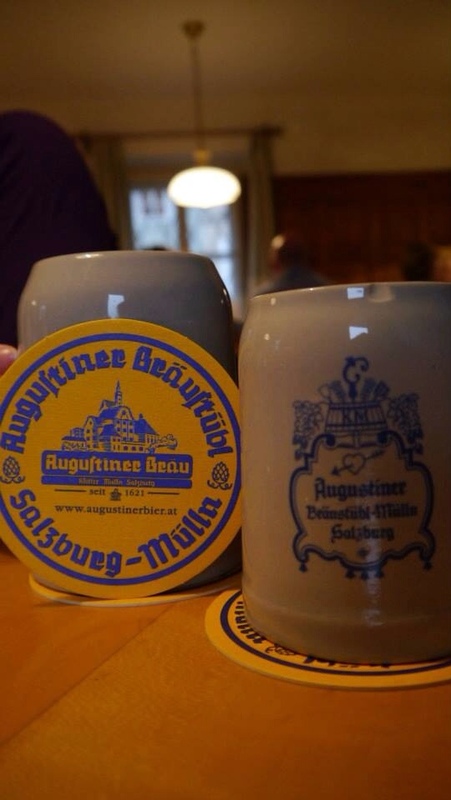 That evening we went for Austrian food and beer at Barenwirt (it has an umlaut). Both were very very good and although we were joined on our floor by a rather loud and large family, the setting was also lovely on the banks of the river. 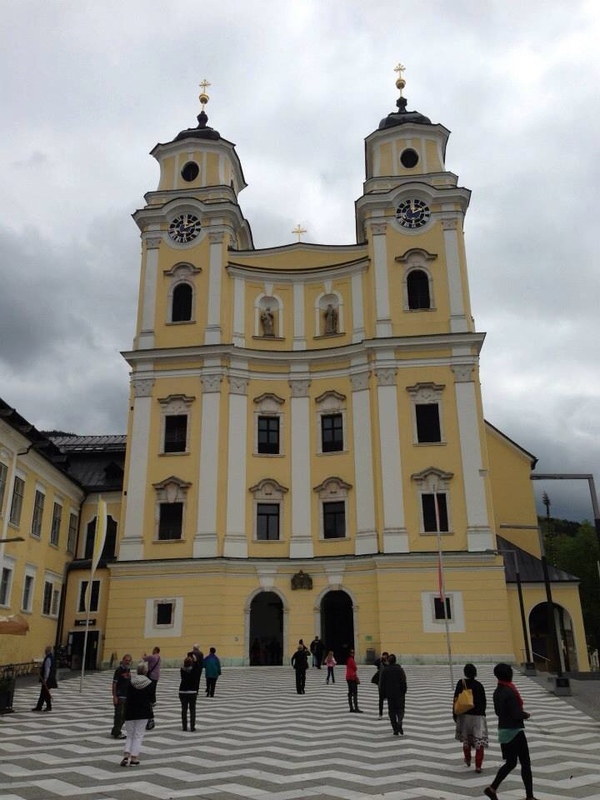 The following day was the Salzberg Marathon which wasn't as much of a hindrance as we thought it would be. Just a few closed roads and bus routes changed which were quite easy to find out. Efficiency is certainly a key trait of the Austrians. 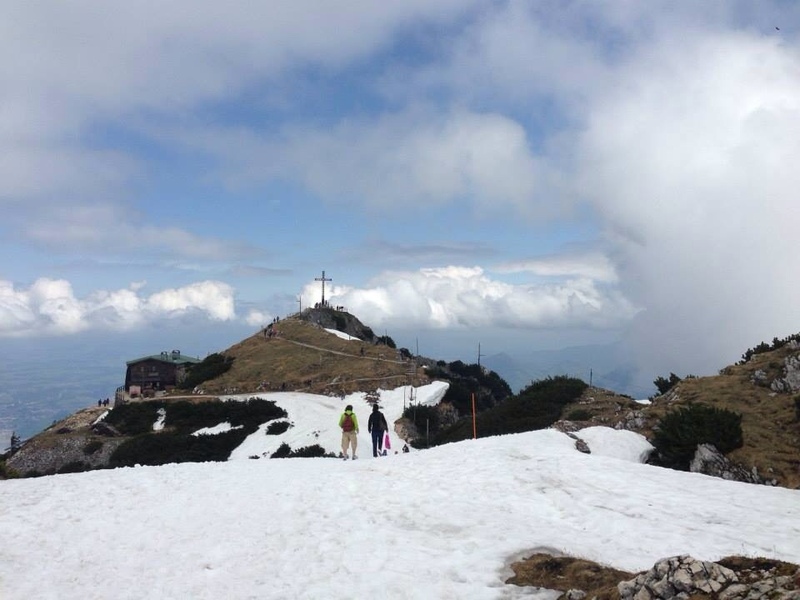 We took a bus from the city centre straight to Untersberg cable car station where we got some great snaps above the clouds on on the way up. Appropriate footwear for snow is advised! It was interesting to see how quickly the weather changed up there, being clear and sunny in one moment and then very poor visibility and cloudy a few minutes later. Warning not to adventure too far! We stopped in to warm our toes in the little pub/coffee shop up there which was housed in a large log cabin. We commented that it was a beautiful and rustic place to which the owner threw back his head in irritated laughter replying it was a horrible place to live! It reminded me of how rose tinted traveller eyes can sometimes be. That afternoon on return to the city, we went up to the fortress to see the rooms and views. It is a difficult and steep walk I must say, and actually there is a cable car to bring you up which is only a few euros more than ticket prices. A must I think for families with young children and older people. On the way back to our hotel we stopped of at the well known Sacher coffee shop for a warming drink and a slice of their treasured cake. 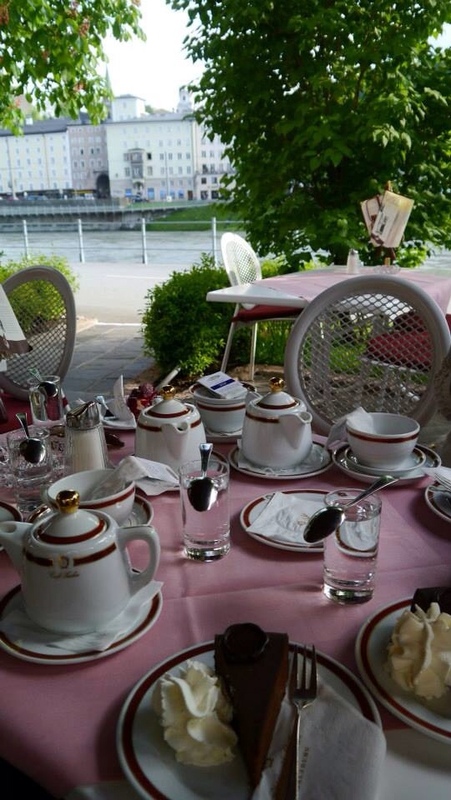 I was slightly suspicious when I noticed a number of locals eating different cakes, and tourists leaving most of their sacher cake behind as they finished their coffees. In complete agreement, the cake was dry and really not that good! Some of their other little treats looked far more appetising. A nice place to sit though and enjoy watch the river flow by. 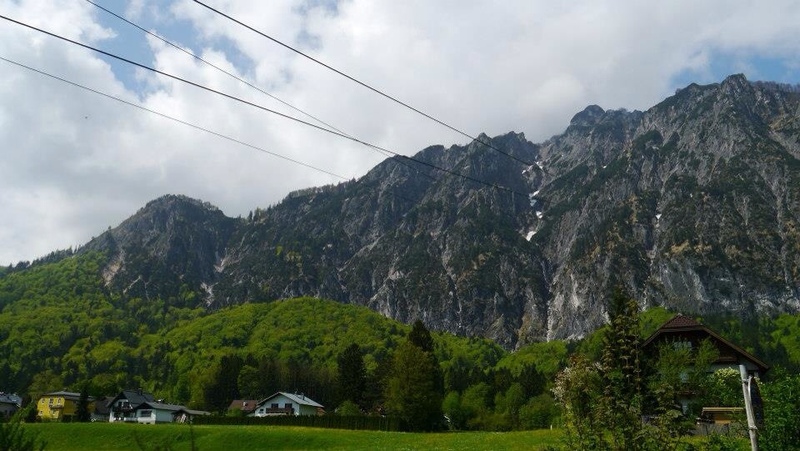 This entry was posted in Uncategorized and tagged austria, family, modsee, sacher, salzburg, sound of music, untersberg on November 19, 2013 by Psychtraveller.